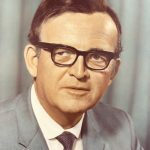 In 2017, Montreal will celebrate 50 years since Expo 67, the year it welcomed over 50 million visitors, a feat not repeated since the Paris Exposition universelle in 1900. To mark the occasion, a chair symbolizing that period for a whole generation was recently re-launched. Emile Metivier, the founder of IPL and a visionary inspired by the merging of that period’s international and local designs, took on the challenge of producing a chair made of HDPE plastic resin that required a sizeable mould. 60,000 of these relatively unknown and unnamed chairs were manufactured for the site of Expo 67. By the end of the 70s, close to 150,000 chairs had been sold before the concept was pulled from the market. In 1990 a Beauce company, Les Industries Emile Lachance, purchased the mould of the seat and started using it again. 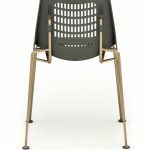 August D., a new Quebec furniture and design products distributor, has relaunched the M.E67 Chair, which now features a metal structure manufactured in Quebec and was redesigned to promote a lighter, more contemporary look. 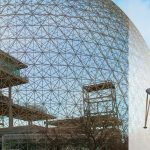 The steel base’s design imitates the meshing of metal triangles forming the current spherical skeleton of the Biosphere, the former United States Pavilion, that famous geodesic globe conceived by Buckminster Fuller for Expo 67. August D. was initiated by its founder Guyleine Bureau whose passion for the chairs and design of the 60’s motivated her to help everyone relive the Expo period through the Chair. “Even though a chair seems to be a basic object, it is more than the sum of its parts. 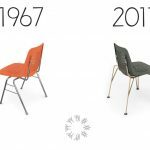 Chairs reflect social and esthetic changes through time. No other piece of furniture presents so many possibilities of making and establishing connections. 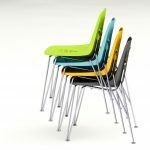 The success of a chair has always depended on the quality and range of relationships it creates while meeting a specific need. A chair’s shape and materials trigger physical and psychological connections with the individual who sits on it, as well as with its surroundings and the people around it,” says Bureau.